We're ready to help. 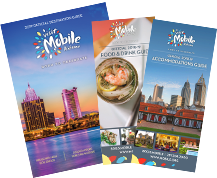 Simply submit your Request for Proposal and one of our experienced sales managers will get back to you quickly to begin planning your convention in historic Mobile. Thank you for reaching out to us!